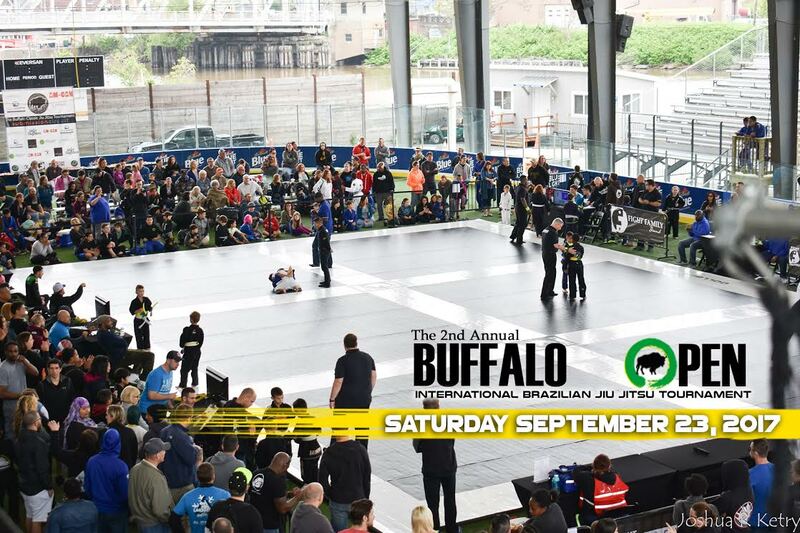 The 2017 Buffalo Open will take place outside under the Olympic hockey pavilion Saturday September 23rd at Buffalo RiverWorks, located in downtown Buffalo’s inner harbor at 359 Ganson Street Buffalo, NY 14203. The The Açaí Project will of course again be there serving up delicious bowls of Acai! All belt levels in the Kids, Youth, Teen, Junior, Adult, Master (30 +) age categories will compete. Blackbelts compete for free. Registrations will only be online. They will open in August and will close several days prior (TBA) or when full capacity is reached.